Eurosport is happy to offer you an online ordering platform for your membership. Below is all of the information needed to place a successful order through the soccer.com Bay United SC platform. 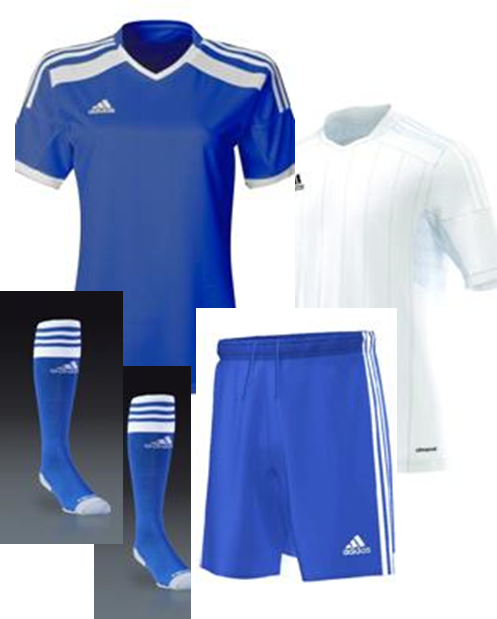 All uniform items with customization are given to Bay United SC at exclusive prices that are only available to our members. All uniform numbering is pre-selected by Bay United SC and is now fixed. Numbers are preselected in age group assignment. An email was sent to each player from Eurosport with a uniform link to enter the online platform on SOCCER.COM. The email also included a list of all required items for the player. Website access is not available to the public; the link contains a cookie to access the Bay United SC site. You must enter the system through this link in order to gain access to the Bay United SC site. **It is very important that you add [email protected] to your safe list on email as this will be the address that the club link comes from. The Eurosport website is www.soccer.com and once you have clicked on your email from Eurosport, you will see a Bay United SC link in the top right hand corner of soccer.com. This will live on the site as long as you do not clear your cookies from your internet browser. You will be able to shop and buy all items from your shopping list within SOCCER.COM. Click on your players' name within their team and purchase the specific jersey and practice shirts. All players will have pre-selected customization that cannot be changed. Continue shopping by clicking on the Bay United SC store making sure you buy all other items on your email list (i.e. game shorts/socks, practice shorts/socks, jacket and back pack). In addition, any family member may add on to a players order at club pricing. Multi player orders will be allowed and can be easily performed using the search engine within the club page. Your order will include non-customized items (such as socks) as well as items that need customization. Items without customization will ship from Eurosport’s warehouse within 24 hours. All items with customization will require several days to receive customization. An email with an expected ship date will be sent to you upon placing your order. Bay United SC accepts no liability for mistakes made during uniform ordering. Players are expected to order their own uniform as listed on SOCCER.COM. Eurosport and Bay United SC are committed to answer questions on the uniform process in a timely manner.